Within the last week, the Metropolitan Museum of Art in New York City announced that it was making 400,000 high-resolution digital images of works in its collections available on its website — free for non-commercial use. And what does it mean by scholarly content? Sounds an awful lot like what we do as genealogists, doesn’t it? Disseminating ideas and knowledge for educational and cultural purposes? Educational use? At a minimum, fair use? As long as we’re not producing “commercially published general-interest books in print or electronic media; all products, merchandise, (including posters, calendars, notecards, datebooks, mugs, etc. ), advertisements, or promotional materials for any services or products,”6 these images are ours to use. So… only images marked with the OASC indicator qualify… and there’s one more question. See, this isn’t the usual archive we might be interested in. This is an art museum. Is there going to anything there we might be interested in? 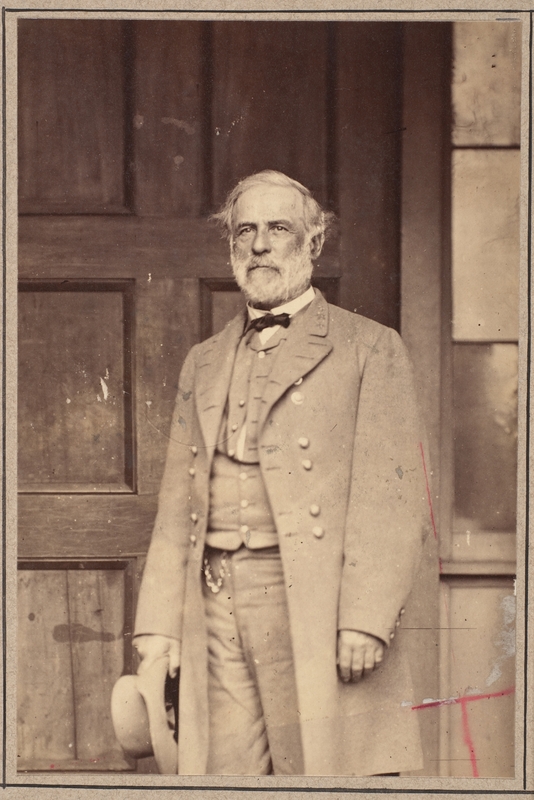 The Legal Genealogist thinks so… like the image you see above, of General Robert E. Lee. And you think maybe a genealogist might be able to use this one? Say, a genealogist like me, whose ancestor made this crossing? Or this one, for a family that owned one of these? Images free to use, for scholarly content. Thank you, Metropolitan Museum of Art. Image of Robert E. Lee: Mathew B. Brady, General Robert E. Lee, 1865; Gilman Collection, Metropolitan Museum of Art, New York (www.netmuseum.org). Sounds good, but weren’t these in the public domain anyway? Are they claiming copyright in the digital version of them? What would make such a version original enough to merit copyright? Or are they claiming copyright in the overall compilation, in which case copying one would not infringe the compilation anyway? 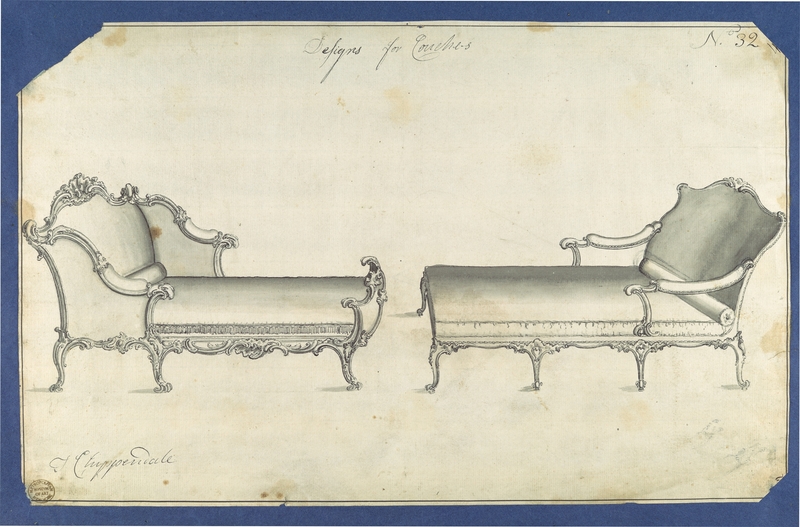 Many of the images in the collections are modern photographs of singular items in the museum, such as chairs and tables built in the 17th and 18th centuries. As to those images, the museum certainly has a copyright and is electing to grant permission for use anyway in this blanket way. As to the other older items, it really isn’t so much a matter of copyright as a matter of terms and conditions. Anyone who owns an item can say what anyone else can and can’t do with its copy of that item, whether it’s copyrighted or not. And the museum is being very generous in allowing use of these items too. When I was a teen, in the sixties, my parent took us on a trip to visit historic sites in Pennsylvania. Washington Crossing Park, in New Hope, PA, was one of the places we visited. If one compares the painting, ‘Washington Crossing the Delaware’, to the actual site, there is no accuracy. The Trenton River at the ‘Crossing’ site is VERY narrow, about one fourth of the width shown in the painting. Washington would not have had time to stand up, before the boat reached the opposite shore. That brings us to another issue. For all those men to cross in a timely fashion, many boats would have been needed. Just were did all of those boats come from? Especially since there were Loyalist spies EVERYWHERE near Philadelphia….and the mission needed to be kept an absolute secret. They certainly could not go about the countryside commandeering boats because word would leak out. We know that plans for the attack remained a close guarded secret, as the Hessian soldiers were totally surprised by the attack at Trenton. Well, no boats were needed. There was a ‘Mini Ice Age’ at the time. Washington and his men must of walked across the ice. Many years latter a Brit told me that Stamford Bridge, where the battle between King Harold Godwinson of the English and King Harald Hardrada took place, was also lacking in the expected drama given the significance of the event. The point is this…… History is made as we go about out lives in ordinary surroundings. Monumental paintings, such as ‘Washington Crossing the Delaware,’don’t often portray the reality of people playing their role in ordinary surroundings. BTW: I also have an ancestor who crossed the Delaware with Washington. I’m afraid what you were told during your teenage trip is a little inconsistent with the reality of the event. Quoting from David Hackett Fischer’s Washington’s Crossing: “A large flotilla of small river craft was waiting when the men arrived. The Jersey militia of Hunterdon County had done their work well. Parties … had collected many boats from the upper Delaware and Lehigh Rivers. Bray’s men alone had rounded up twenty-five vessels of various shapes and sizes.” (at 215-216) The whole chapter “The River” tells a much different story from what you were told — the river at McConkey’s Ferry was 800 feet wide, the water high and swift, the ice broken into pieces and making the passage treacherous. Thanks for the heads-up on this Judy! Thanks, Jana! Always an honor to make your list!